Strong images are a must for any website, but even more so if you run a business and have a commercial need to promote your work or sell a product online. Do you remember the last time you visited a restaurant’s website and didn’t see a photo of a tasty dish? Or have you ever seen a real estate site missing images of homes for sale? 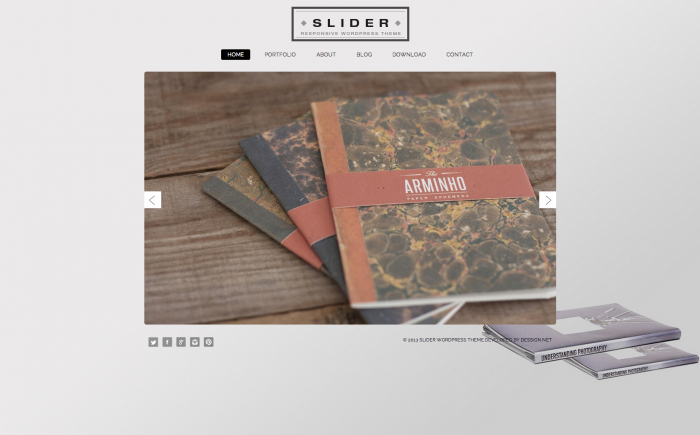 Sliders provide an ideal way to display multiple images fluidly and in an eye-catching way that grabs your visitors’ attention when they land on your site. I’ve trawled the interweb to put together this collection of 35 beautiful homepage sliders that are complemented by fresh and modern design. Check them out below. Do you have a favourite slider theme? Tell us in the comments below. A minimalist slider-focused theme that puts the focus squarely on your work. The theme features a responsive design and a customizable background. For The Cause features a full-width header slider to showcase your content. 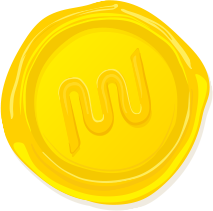 The theme also features a fundraising progress bar, testimonials and a fully customizable homepage. King Size is a gorgeous full-page slider theme and is ideal for a photography portfolio site. This theme supports video sliders. Classica is a minimalist and easy to use theme featuring a fixed-width image slider and a filterable portfolio and multimedia support. Reborn is a one-page retro/modern parallax theme featuring a full-page slider and a filterable portfolio. Second Touch is a clean and fully responsive minimalist theme featuring a slick slider. The theme’s customization options allow you to create any layout you want or customize the existing layouts to suit your site. Haxon is a fully responsive minimalist business theme featuring a handy slider pack and a visual composer. Astrum is a responsive theme ideal for corporate and portfolio sites. It features a page builder, revolution slider, OptionsTree panel and is retina ready. Visia is a beautiful one-page parallax theme that features lazy image loading, a drag and drop gallery and video support. A flat and slick one-page parallax theme featuring a gorgeous header slider and includes bonus parallax pages. Fency features a responsive layout, a modular homepage and post format support. This colorful theme is ideal for a portfolio of agency site. 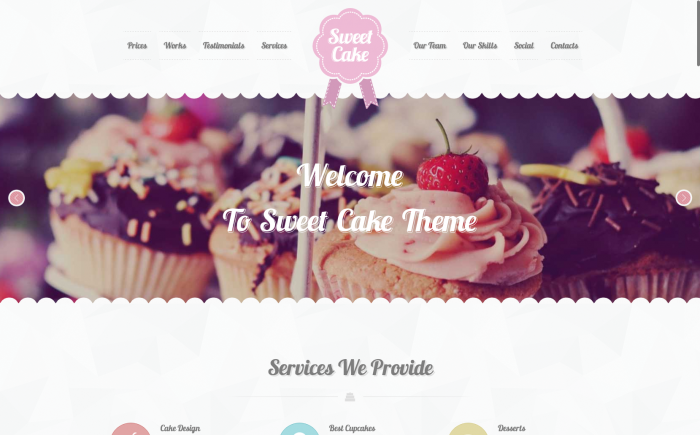 Sweet Cake is a cute and colorful one-page business theme ideal for bakeries, ice cream shops, restaurants and cake designers and features a revolution slider. A clean one-page parallax theme ideal for businesses. This theme features a large fixed-width header and light and dark versions. A minimalist portfolio and blog theme featuring an icon selector, shortcode to display your latest works or blog posts and a revolution slider. Bullsy is a clean and modern product or portfolio theme featuring a drag and drop page builder, revolution slider and unlimited colors. Thunder is a modern, flexible and responsive theme that is retina ready and supports custom post types. 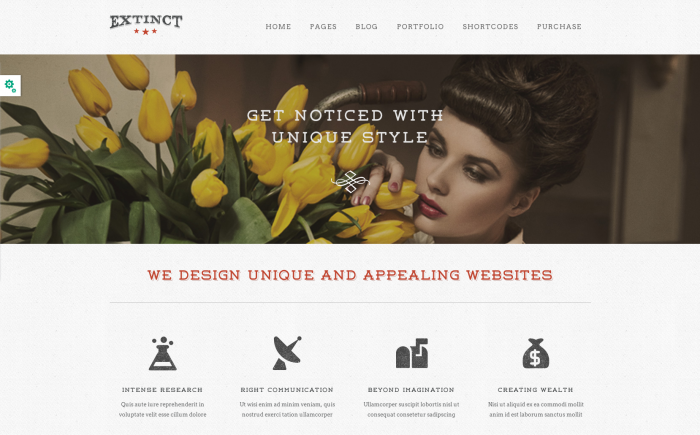 Extinct is a clean and responsive theme with a retro vibe. 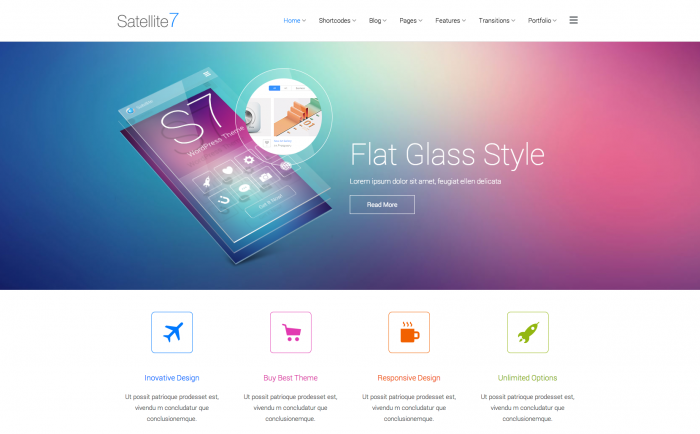 This theme comes with a revolutino slider and more than 500 retina icons. A professional and responsive theme designed for creatives, bloggers, photographers or freelancers. CityHub features a gorgeous parallax slider. North is a modern responsive theme with a clean design. It comes with unbranded theme options and a beautiful full-width header slider. Store is an e-Commerce theme featuring a beautiful full-width slider and a clean and modern design. 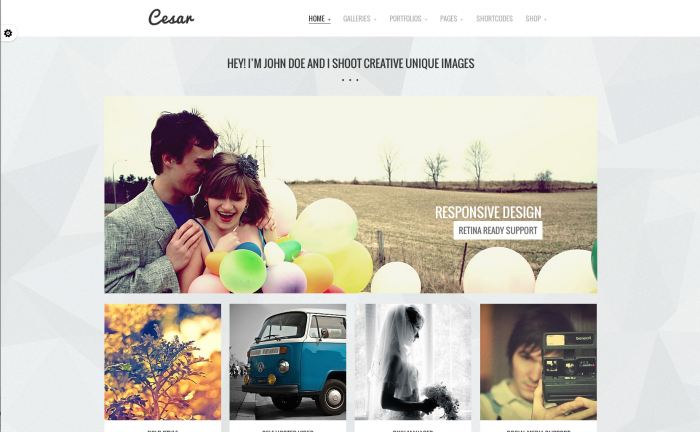 Cesar is a responsive and retina ready portfolio and photography theme featuring 15 gallery templates and a LayerSlider. Candy is a flat and colorful one-page theme featuring a responsive design and a large, full-width slider. 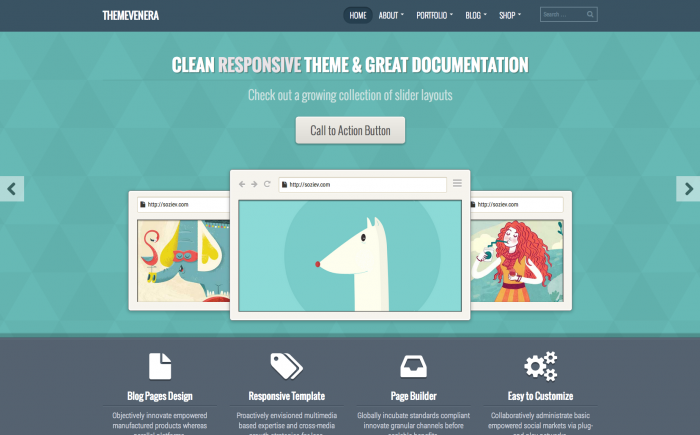 Venera is a clean, customizable and colorful theme that boasts a large, full-width homepage slider and a filterable portfolio. A clean and minimalist theme that comes with a full-width slider and custom post types. Blogo is a clean and cute design for bloggers that features a homepage image slider. Weald is a modern, minimalist and responsive theme that is easy to customize and offers a one-page layout. It comes with a Nemus slider. 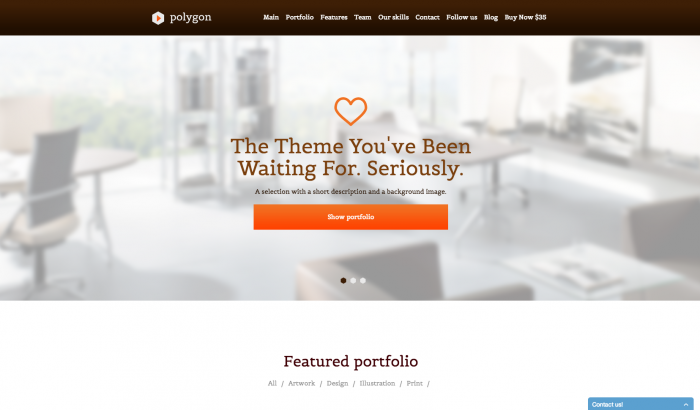 Polygon is a one-page business and portfolio theme that boasts an animated slider and filterable portfolio. 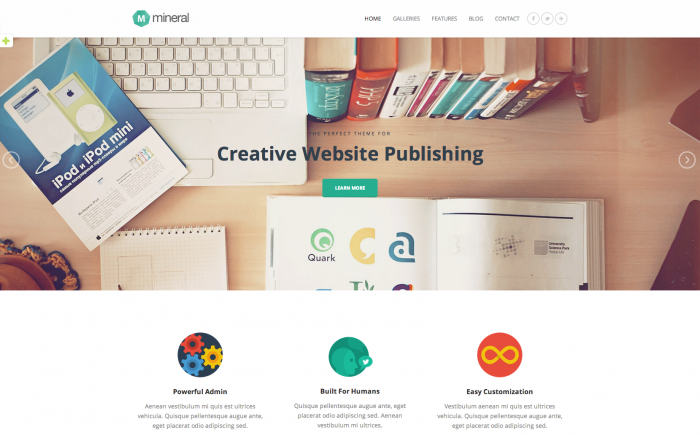 Mineral is a gorgeous parallax portfolio or business theme that comes with a full-width slider. Fuse features an awesome full-page homepage slider and a clean, grid design. 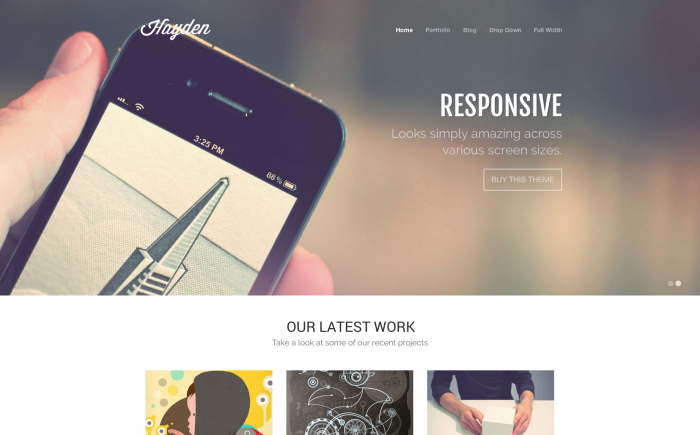 This theme is responsive and retina ready. 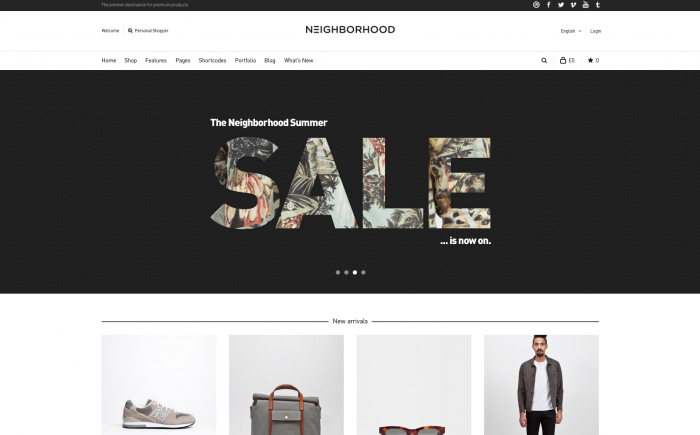 Neighborhood is a clean and minimalist e-Commerce theme that comes with a full-width slider to showcase your products. Rivieria is a modern and lovely portfolio theme boasting a slider to showcase your work. This theme also features light and dark versions. Hayden is a minimalist agency theme featuring a full-width homepage header slider, slider shortcodes and a filterable portfolio. K features a beautiful parallax full-width header slider and comes with a drag and drop page builder. Bloq comes with a smooth scroll header slider and 10 color options. 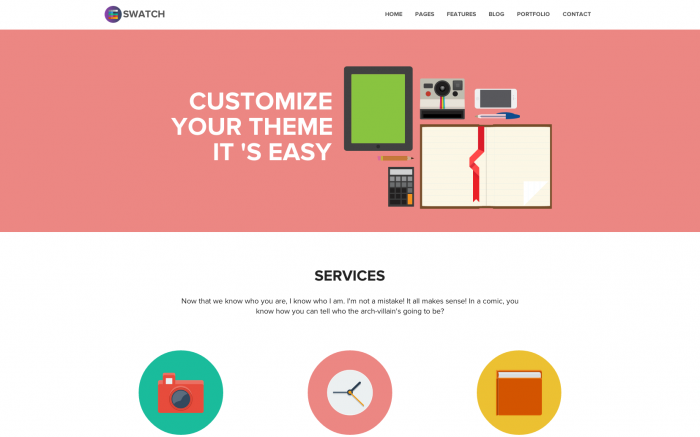 Swatch is a super colorful theme that features a full-width slider, lots of color options and a responsive design.